The thing that has always fascinated me about Tyler Perry’s films is how simple in structure they are. Everything has its place, and everything falls in line. It’s kind of elemental, or, even though this word implies a negative connotation, elementary; not really paint-by-numbers, but there are moments in his canon that are extremely formulaic, despite his “auteur” intent. 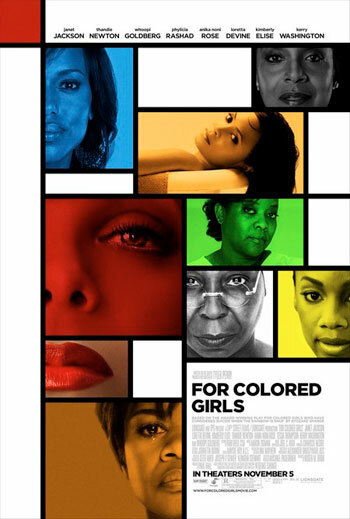 Diary of a Mad Black Woman (2005), The Family That Preys (2008), For Colored Girls – all have elements of each other, and all have elements of a distinct kind of American film: Soul Food (1997), Woman Thou Art Loosed (2004), Precious (2009); he even subtly draws from the days of the transcendence of exploitation minstrel into the hands of African-American filmmakers who made thoughtful blaxploitation films. Perry’s well-rounded direction makes up for his choppy writing.